“Saint Catherine closes the door of the dance hall until the three Holy Kings throw it wide open again” is a saying in Catholic countries. This means that with the feast of St. Catherine of Alexandria (November 25), the Church enters the “closed time.” In these weeks, good Christians are not allowed to attend public dances and are not supposed to have a big festive wedding celebration. There are two such closed times — between November 25 and Christmas, and again between Ash Wednesday and Easter Sunday. In former times, the weeks of Advent were called “the little Lent,” and the people fasted almost as carefully as they would in the “big Lent”. Fasting during the “little Lent” is all but forgotten now, but the character of this closed time is still very much respected in Catholic countries. To make up for these two periods of abstinence from dancing and merrymaking, there is sandwiched in between a time that is, on the contrary, even dedicated to dancing and feasting of any kind. In Austria these weeks are called Fasching. In Latin countries they are known by the name of Carnevale. The Latin name is usually translated as “Meat, farewell!” (Carne, vale!) As we know, one main feature of fasting is usually abstinence from meat. Here in the United States, we have come across the word “Carnival” almost exclusively in connection with the Mardi Gras celebration in New Orleans, so that people have the idea that Carnival is celebrated only on the day before Ash Wednesday (Mardi Gras, or “Fat Tuesday”). This, however, is not so. Carnival is a season extending over several weeks. It is not equally long each year, depending on whether Easter falls earlier or later; but it always begins January 6 and ends at midnight before Ash Wednesday. Nobody could stand a Thanksgiving Day dinner every day of the year. There can be mountains only if there are also valleys. It is a pity that the Reformation did away not only with most of the sacraments and all of the sacramentals, but also, unfortunately, with the very breath of the Mystical Body—that wonderful, eternal rhythm of high and low tide that makes up the year of the Church: times of waiting alternating with times of fulfillment, the lean weeks of Lent with the feasts of Easter and Pentecost, times of mourning with seasons of rejoicing. This article is from Around the Year with the Von Trapp Family. It should be our noble right and duty to bring up our children in such a way that they become conscious of high tide and low tide, that they learn that there is “a time to weep, and a time to laugh, a time to mourn, and a time to dance” (Eccles. 3:4). The rhythm of nature as it manifests itself in the four seasons, in day and night, in the individual’s heartbeat and breathing—this rhythm we should learn to recognize and to treat with more reverence. Modern man has become used to turning day into night and night into day according to his whim or pleasure. He has managed to lose contact with himself completely. He has lost the instinct for the right food and drink, stuffing himself with huge quantities of the wrong things and feeding himself sick. But worst of all, and this sounds almost ridiculous, in the process of growing up, he forgot the right kind of breathing. Only babies nowadays know how to breathe. Every voice teacher can prove this sad truth. Looked upon in this light, the weeks of Carnival are a most necessary time for the individual as well as for families and communities. This period is set aside for us to “let off steam,” “to have a good time.” And for this we need company. Therefore, Carnival is most obviously the season for parties and family get-togethers, to which the married children come home as they do for Thanksgiving dinner—with the avowed intention of having that good time together. (Children who grew up this way and for whom Carnival has become a cherished tradition will always gladly return once a year for this happy purpose.) Carnival is the time to be social, to give and to receive invitations to special parties. It is the time to celebrate as a parish group, perhaps once every week, maybe on Sunday afternoon. There seems to be something in human nature that makes us want to dress up once in a great while, to pretend to be somebody else (and this is true not only of children). As our family is so large, we were always self-sustaining when it came to celebrating feasts. The most hilarious evenings were those when we all came in fancy dress. It helps greatly if there is a theme to the evening, such as “Who I Would Like to Be” or “International Evening” (many nationalities and people are chosen by lot and have to be represented; and for the first half hour, sign language is obligatory). Or “A Get-Together of Our Great-Grandchildren in the year 2000” or “Circus” (everyone comes as an active member, human or animal, of a traveling circus), or … or … There is no end to good ideas. The main thing is that everyone should take over a role and play it the whole evening, within the general frame of the theme. And there is a deeper meaning in all this, too—because everyone would like to be somebody else once in a while. It would not be Carnival without dancing. Mankind has danced since before the time of King David, and always will; for it seems to be an irreplaceable means of expression—the one way in which the whole person, body and soul, can enjoy the beauty of rhythm. Although America is spoken of as a “new country,” everything American once came from an old country. It would be most interesting and rewarding if every family would search earnestly for the folk dances of its own people, its ancestors. Much research has been done recently, and many good books and many records are available. Let us think of the wonderful entertainment at a parish party if people were asked to contribute a folk dance from the country their family came from—of course, in the national costume! And this should not be taken lightly. I see no other way to protect our young people from the frequently pernicious influence of modern dancing. There is no use in just talking against it; something better has to be substituted. I also know from experience that it is very difficult to learn folk dancing from a printed description. Everyone should treat himself to a course, of which there are many new ones starting every year. Simply to get into the spirit, the atmosphere, into the very idea of folk dancing is something we should not miss, and then we have to pass on what we have found. On other evenings, we might have fun at home by learning to play new games. Do we realize that there are hundreds, literally hundreds, of most entertaining games? We just do not know them. By inquiring among friends and by looking in books, we should be able to add a few good ones to our repertoire every year during the weeks of Carnival. This is an indispensable store to draw from when there are parties to be arranged for family or for other feasts during the rest of the year. Let us put these weeks of Carnival to use and learn to dance together, play together, and sing together. Spent like this, the weeks of Carnival seem to fly. Every day the family is eagerly looking forward to the evening’s program, whether it be singing or folk dancing or playing games or masquerading. One more feature of Carnival time is the food and drink, the specialties of the season. To understand the special character of Carnival pastry—why it is always fried in deep fat, why it is full of eggs and milk and meat—we have to go back to the beginning, when Lent was really the time of fast and abstinence, when it was forbidden to have not only meat but also milk and cream and everything made thereof, such as butter and cheese. The closer Ash Wednesday came, the more housewives tried to clear the kitchen and pantry of the forbidden goods. As these included any kind of lard and fat, they were used in these last days to make those delicious Faschingskrapfen, a kind of glorified jelly doughnut. The last three days before Ash Wednesday everywhere, not only in Austria, but also in other countries, pancakes (Palatschinken in Austria) were eaten, obviously merely because eggs and butter and milk had to be finished off before the fasting began, and pancakes took care of a great many eggs and much milk and butter! These last days before Ash Wednesday are the climax of Carnival. In the Catholic countries, where Lent afterward would be taken seriously, work was stopped. People made merry practically day and night. The last day of Carnival is Mardi Gras, or Faschingsdienstag, or Fat Tuesday. This should be a big celebration, of the whole parish together, if possible, or a circle of friends, and everything that one did during the previous weeks should be done just once more. “Once more this dance!” “Once more this song!” “Once more this game!”—until twelve o’clock sharp. When the clock strikes twelve, in the middle of the dance, according to the good old tradition, one should stop, and the whole group should kneel and say one Our Father together and then, rising up, say, “I wish you a blessed season of Lent” and go home. It has to be experienced to be fully believed, but there is a great blessing on such a Carnival time, shared in a family. To have spent a good Carnival will finally prove to the greater honor and glory of God, in enabling us to spend a good Lent! 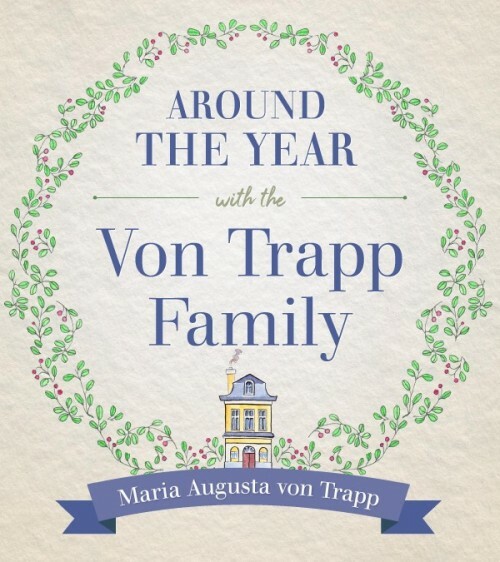 Editor’s note: This article is adapted from a chapter in Around the Year with the Von Trapp Family, which is available from Sophia Institute Press.